The first day I carried a gun I was absolutely terrified that someone would see it. I was freaking out that someone would 'make' me. I constantly readjusted my clothing and always worried about the gun slipping and showing, and of course, I worried about printing. Printing is the outline of the holster and gun protruding through your shirt. This is a very common fear, and when I teach concealed carry classes, it's a pretty common question. After carrying concealed day in and out for nearly a decade, I've learned not only how to avoid printing and changed my overall opinion of it in general. I don't like to leave people hanging with my writing. If you are worried about printing and want to know a few ways to avoid it, here it is. However, stick around after this and I hope to leave you with a better mindset about printing than anything else. The easiest solution is to get a smaller gun. A lot of people can't afford to just go out and buy a smaller gun, so that's not really good advice. I typically carry a full sized pistol myself, at least when I can, when I can't the P365 is my go to. I do know you can conceal a full sized gun. My Glock 80 Lower build is one of my biggest guns and I can easily conceal it. I love my schemedium shirts too, after a week of working out I want to show off these beginner gains. However, you really don't want to toss on that near skin tight Under Armour shirt to conceal a gun. 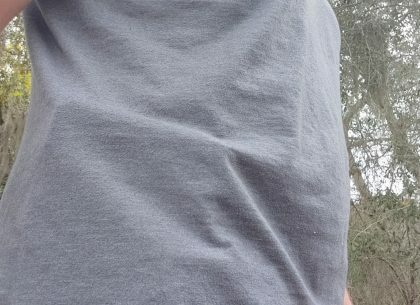 A simple T-shirt can conceal a gun very easily, just make sure it fits. Also, avoid shirts that are lightly colored, for example, plain white Hanes shirts will show your gun off. I use a Tall sized shirt for a little extra concealment and I'm also a tall guy so it is a must-have to effectively conceal a gun. Additionally, a shirt with a pattern, like flannel, can conceal a gun very well. Single colored shirts will show lumps, shadows, and other giveaways. A shirt that is patterned will better conceal your gun. A straight up and down carry position turns the gun into a shelf for your shirt to sit on. Canting your gun slightly forward, between 10 and 25 degrees will prevent this from happening. This works with both OWB and IWB carry. It's more important with OWB carry. 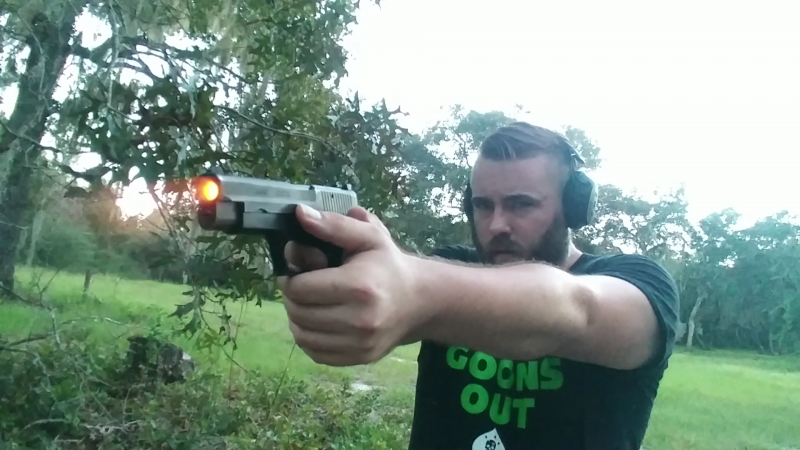 If you carry a full sized gun IWB then adding a little cant can go a long way. 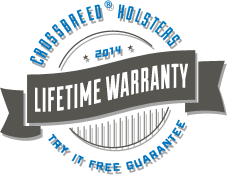 The majority of Crossbreed holsters allow you to easily add a little cant to your carry. There is a big difference between a holster designed for concealed carry and a holster designed for any other task. A holster that clings tight to the body and this prevents the holster from sagging or dragging outwards. The right holster goes a long way to effectively concealing your weapon. Holsters designed for duty use, for example, stick further away from the body. This makes them print more and makes them ultimately harder to conceal. A purpose built belt designed to carry a gun is a must have when carrying a gun. It ensures the gun doesn't sag or stick outwards. The stiff nature of these belts keeps the gun up and in the correct position. 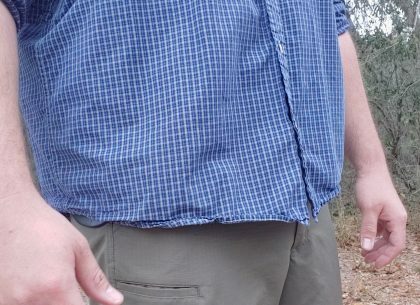 A good gun belt is a must-have for effective concealed carry. It prevents the holster and gun from moving and this aids greatly in concealment. Printing isn't a big deal. 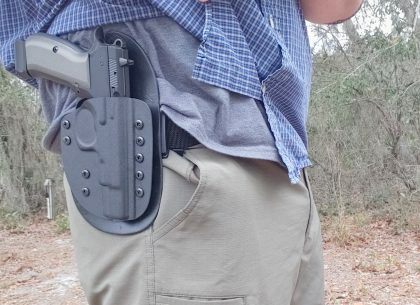 Unless you are truly wearing the worst holster and full sized gun in the world you don't need to worry about printing. 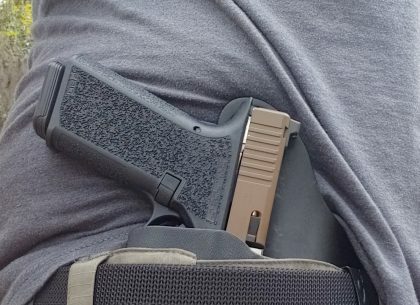 Carrying a Glock 40 in a Safariland level 3 security holster designed for police officers is not going to conceal well. If you are actually attempting to carry a gun in a concealed manner then it won't be an issue. Following the above steps will ensure your gun is effectively concealed. The thing is the vast majority of people don't pay that much attention to if you are carrying a gun. People are so wrapped up in themselves they won't notice that slight bulge here or there. Some police officers and other concealed carriers may notice, but that isn't exactly an issue. Printing is really a non-issue if you just invest a little bit of time in prepping for day to day carry. Stop worrying about printing, you are fine. No one cares, and that is a good thing.